A new financial information website offers consumers a comprehensive range of tools to help their financial planning. The new website, Annuities24-7.com, can be a valuable resource, even for consumers who are not shopping for a fixed annuity. “The tools you’ll find at Annuities24-7.com can give you a lot of peace of mind,” says company CEO Scott Briggs. A new website has popped up called Annuities24-7.com, and it’s promising to be much more than just another mouthpiece for the annuity industry. The new website is the brainchild of long-time financial services guru Scott Briggs. A second-generation pro in wealth management, Briggs is founder and CEO of Annuities24-7.com, Inc. The new company’s website will provide consumers with impartial facts about the various types of fixed annuities available and how they differ. Knowing those differences can help consumers make informed decisions about whether an annuity should be part of their retirement savings strategy. Briggs went on to explain how the Annuities24-7.com website works. A consumer who wants to learn about ways to plan for retirement can click on the “LEARN” tab. That will open up a library of useful “Calculators & Tools.” The calculators allow consumers to get a glimpse into their financial future based on their lifestyle, age, and savings program. Using the Annuities24-7.com online calculators, consumers can learn about their future Social Security payments, estimate their future pension payments, compare IRA options and more. And they can get that information without being sold anything. True to its name, the Annuities24-7.com website can also provide consumers with plenty of facts about the various types of fixed annuities available -- and how they differ. 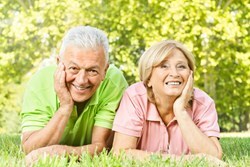 Consumers with specific questions about annuities can contact Annuities24-7.com by phone. The company is affiliated with hundreds of insurance agents from coast to coast, and all are very familiar with the many types of annuities available. So if a consumer calls with a specific question, Annuities24-7.com can refer the caller to one of the licensed professionals in this nationwide network. But even if people don’t want to buy an annuity -- or talk about annuities with an insurance agent -- a visit to the website’s “Calculators & Tools” library can be time well spent. Annuities24-7.com, Inc. is an independent annuities information and referral resource based in Farmington Hills, MI. The company’s founder and CEO is Scott Briggs, a member of the Briggs family, a respected team of financial professionals who specialize in wealth management and asset preservation. Learn more by visiting annuities24-7.com. For additional information, contact Lidia DeBruyn at (248) 987-2993 or via email at LDeBruyn(at)annuities24-7(dot)com.